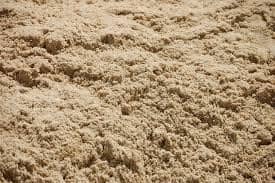 Mason sand is a fine sand that is used within and between the paver joints. Mason sand (industry standard for joint sand is ASTM C144), is created in the same way as concrete sand but is crushed finer. Due to it's small and angular size, it more easily finds it's way down into the paver joint to form a solid bond.